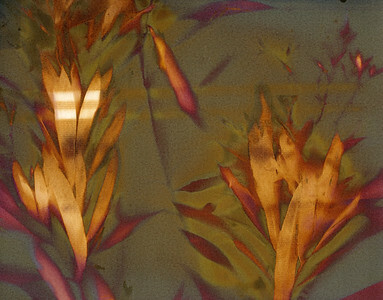 Each lumen print is a one-of-a-kind made by using the sun as the light source that radiates through some material, usually organic. 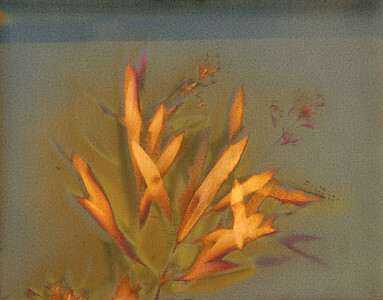 I like to experiment with different papers and chemistry to achieve different effects. 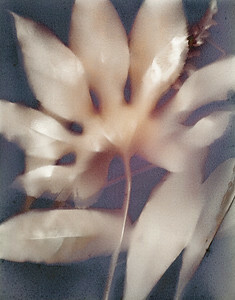 Sun-developed on warm-tone fiber paper; selenium toned. 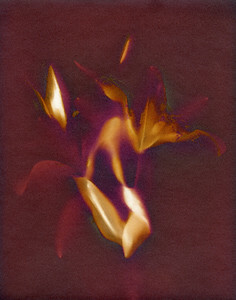 Original fiber print NFS. 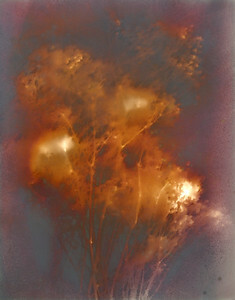 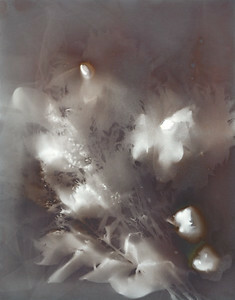 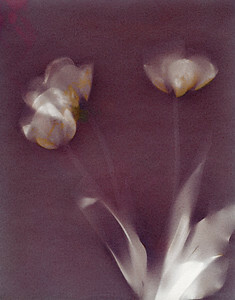 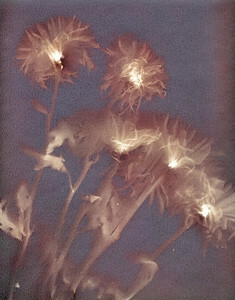 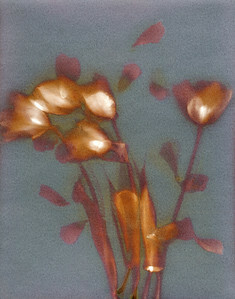 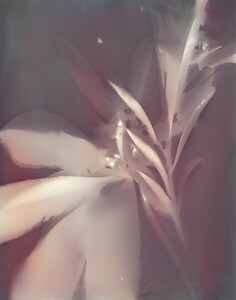 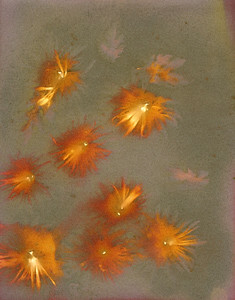 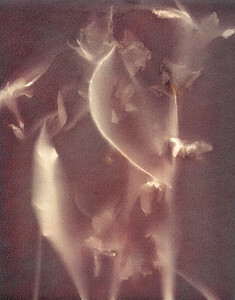 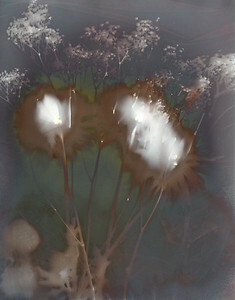 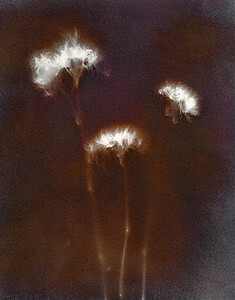 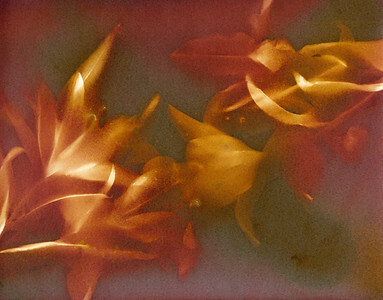 Daisies and tulle misted in saline; sun-developed on warm-tone fiber paper and hand-toned in a gold tone solution. 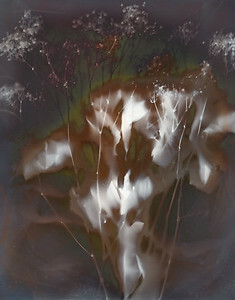 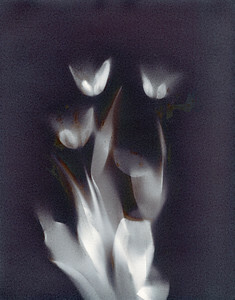 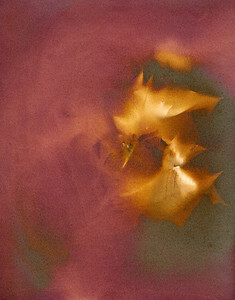 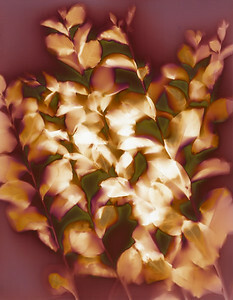 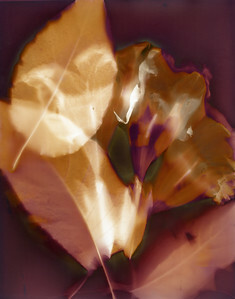 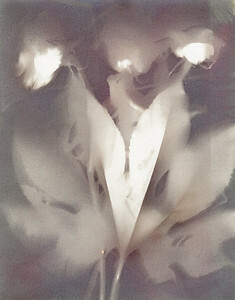 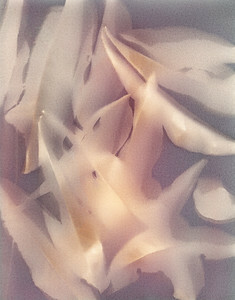 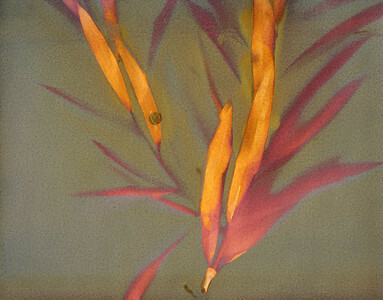 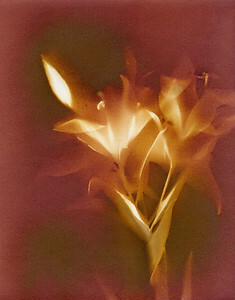 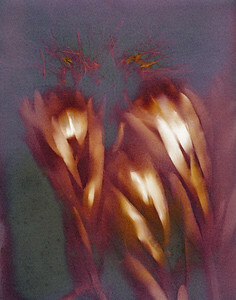 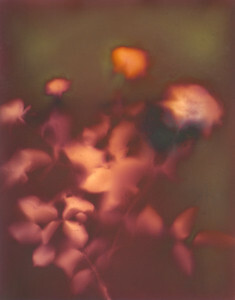 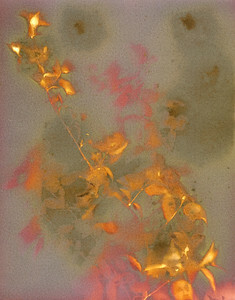 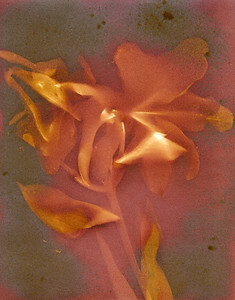 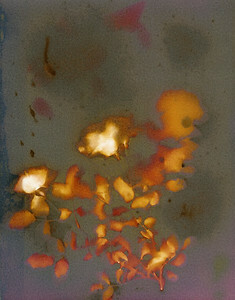 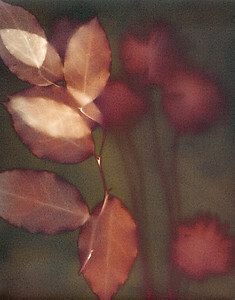 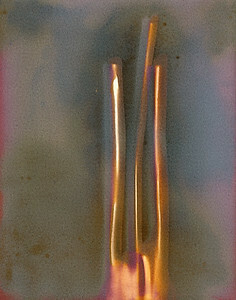 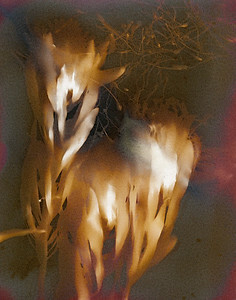 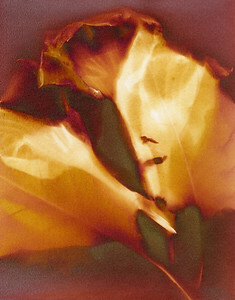 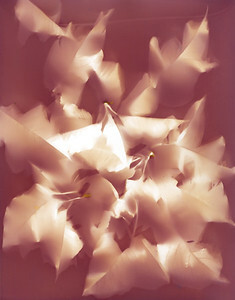 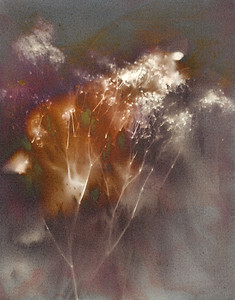 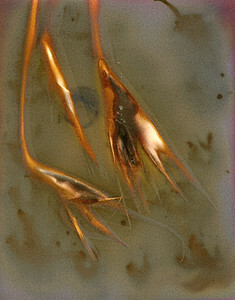 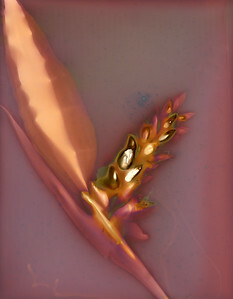 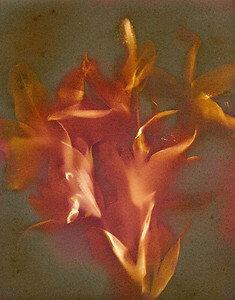 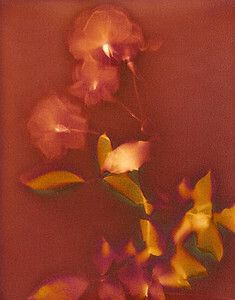 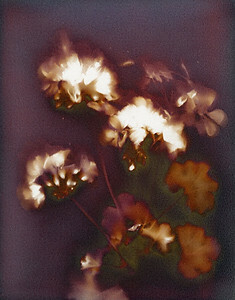 Sun-developed on warm-tone fiber paper. 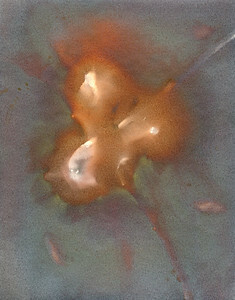 Original fiber print NFS.